Pole Barns by APB » What We Offer! At one time a pole barn was strictly an agricultural structure. Now they have matured into a highly engineered wood-framed diaphram structure used in commercial buildings. 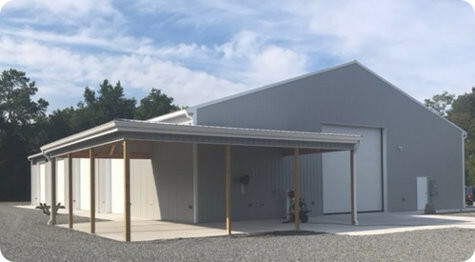 We provide design services and building packages for many types of pole barns. Our custom plans start at $99 and include materials lists, cut lists, and numerous pages of drawings for DIY pole barn construction.